If you have never been to Koh Samui, Thailand’s gorgeous beach getaway, you are missing out. Developed over the last four decades from a small fishing and coconut farming community into a hot tourist destination, the place increasingly caters to young travelers and digital nomads looking for a fun, flavorful, and relaxed place to plug in. Before diving into the island’s best cozy cafes, breezy beaches, and the best places to watch the sunset or enjoy a brew while catching up with the folks at home, let’s get information about it. (Check out the map here). Getting there: The best option is to fly directly into Koh Samui’s beautiful airport. Getting around: Public transportation on Koh Samui consists of ‘song-teaws’, converted pickup trucks that run 24-hours a day, public taxis and motorbike taxis; in each case, it is important to settle a reasonable price before starting the trip. It is also possible to rent a car or motorbike for a day. Getting connected: SIM cards are available at the local 7-Elevens, found on almost every corner; the entire island carries a fairly strong 4G/3G signal; and free WiFi is available in many cafes. 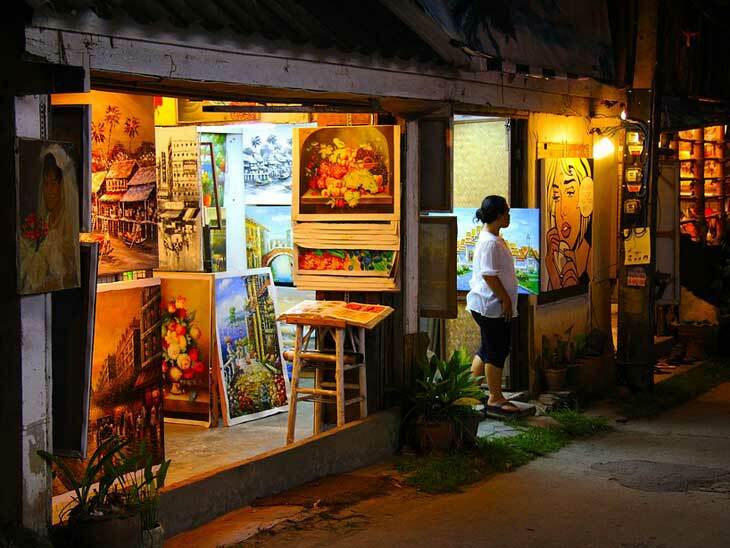 Chaweng: the most famous and populous beach, complete with varied dining and shopping options. 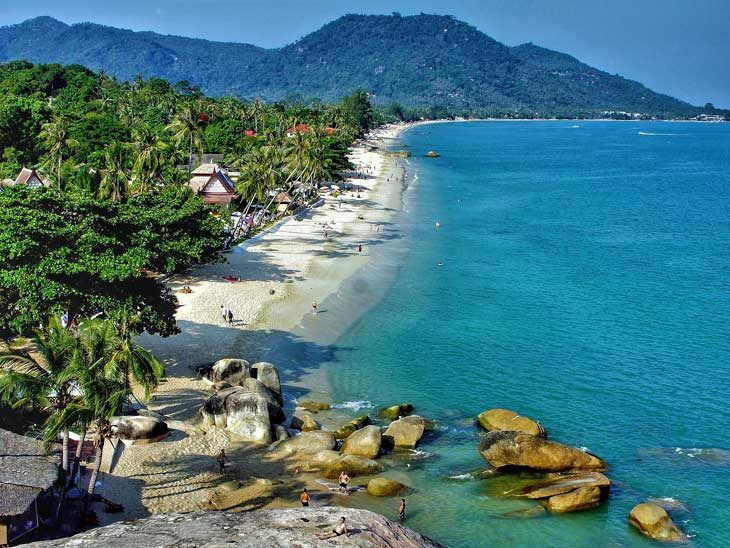 Lamai: similar to Chaweng but slightly less crowded, featuring the ever popular Hin-Ta and Hin-Yai, or Grandfather and Grandmother rocks. Bophut: stretching from the Big Buddha to the well-preserved Fisherman’s Village, this beach especially attracts those looking for a more personalized visit. Maenam: a quieter and less touristy beach, perfect for those looking to spend a day alone or meet locals. East and South Coast: Even further off the beaten path, these lesser-known sides of the island offer rustic villages, rocky beaches, and spectacular views. 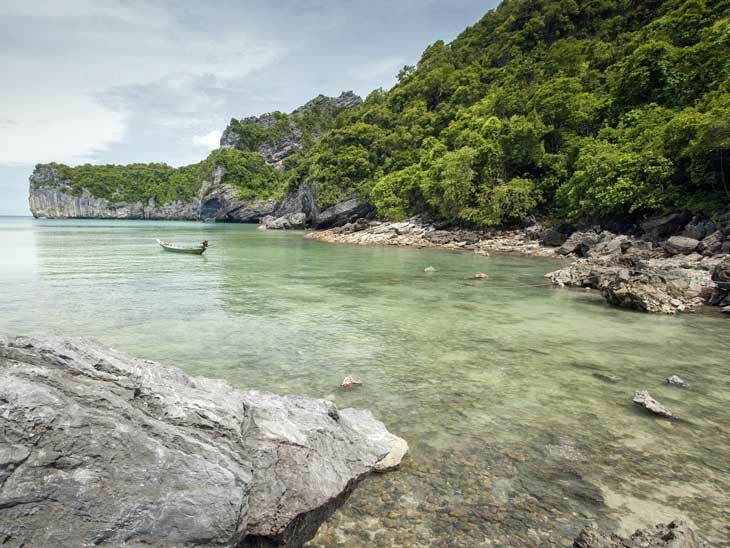 Koh Phangan: whether you plan to attend the world-famous Full Moon Party or just explore, a day is well-spent here or on the quiet shores of Turtle Island, or Koh Tao. You can travel from Koh Samui. Na Muang Waterfalls: named for the purple rocks surrounding the falls dropping into a green pool, these falls are the two most picturesque of the many on the island. If a hike up a waterfall is not adventurous enough, try you hand at kiteboarding in Ang Thong, explore the Marine Park with the same name, experience diving off of Koh Phangan, Koh Tao, or Ang Thong, with their crystal clear water and diverse marine life. Once you have had your fill of ocean life, take a trip inland with the 1.25 mile zipline trail, Sky Fox. 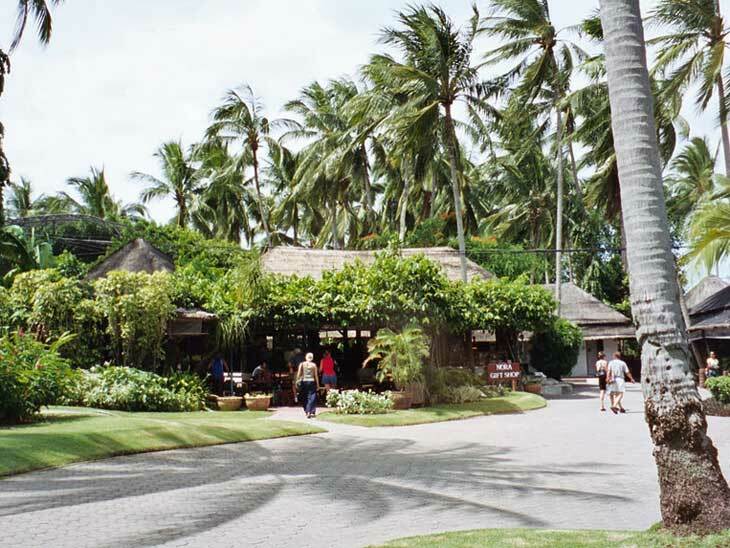 Whether you are visiting Samui in rainy seasons, or you probably encounter the dull weather. There are always indoor activities in Koh Samui that will keep you entertained. However, accommodation rates and fee will be their lowest during the monsoon season. You still can save money and have an enjoyable getaway. Whether you are looking for Tom Yum Goong (spicy shrimp soup), Som Tam (spicy green papaya salad), Pak Boong Fai Daeng (stir-fried morning glory), or any other native dish, the best food is always found at local markets. From the famous Soi Green Mango and surrounding clubs in Chaweng and the ever-popular Swing Bar on the beach to the Bees Knees Brewpub, Koh Samui is a fabulous location to unwind and meet fellow travelers. Spend the best Sunday morning of your life by having Sunday brunch in restaurant or in a beach club. Lounge on beach chairs, take a dip in the calm waves, and enjoy music all while indulging in delicacies ranging from sushi to crepes and an enormous dessert selection. For those needing a place to plug in and work for a few weeks or months, Koh Samui offers plenty to see, experience, and eat. But the best of the area can also be enjoyed in just a few days. 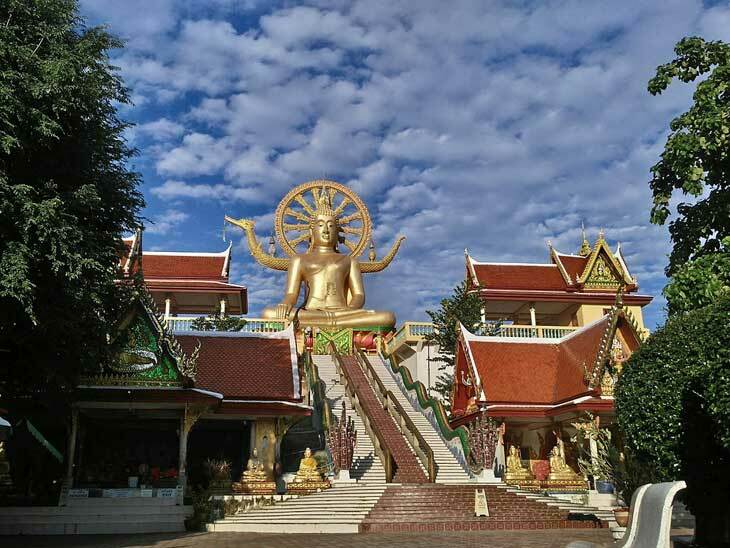 Come for a quick get-a-away to enjoy beaches and nightlife, or come and stay for a while, soaking up gorgeous natural attractions and diverse flavors ranging from Russian to Indian to authentic Thai. No matter how long you stay, however, Koh Samui offers relaxation, spirituality, fun, and delectable food. About the author: Delan is a lifelong traveler and blogger. He loves to travel along with writing articles. When he travels to new places he always has new ideas for his works. Find him here. 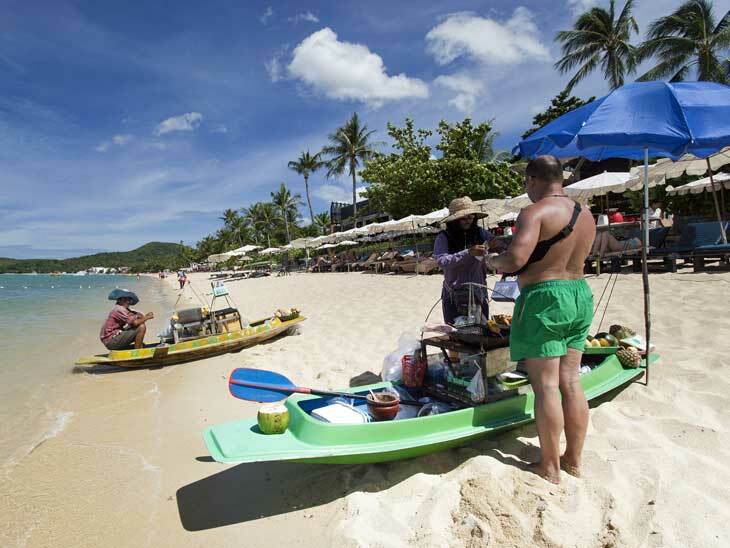 What is your best tip to make the most out of a trip to Koh Samui? Please share in the comments below, on Twitter, Facebook , Instagram or Google+.